If you are out looking for a practical compact sedan, there’s a new entry heading your way from the land of the hyper speed autobahns and beer gardens or ‘Biergarten’, as the locals would say. Don’t let the sporty looking flat-bottom steering wheel fool you. The Ameo is a compact sedan, after all, and it handles exactly like it’s supposed to. Like all other cars in its class, the Ameo’s suspension set up has been oriented towards comfort. That said, it has got the second best balance between ride and handling, after the Honda Amaze. The steering on the Ameo feels vague around the straight-ahead position and is slow to turn in. It’s initially light but becomes gradually heavier as more lock is applied. 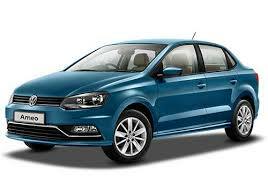 All in all, it lacks the consistency in feel that’s to be found in rivals like the Ford Figo Aspire. The production-spec Ameo rides on 15-inch wheels as opposed to the bigger 16-inchers seen on the show car at the Auto Expo. Nevertheless, the Ameo’s ride quality is quite good – we sampled it across both pothole-ridden city streets and wide open tarmac on the highway. It deals with undulated surfaces rather well despite transmitting some sharp bumps from on the road into the cabin. So what’s not to like in terms of dynamics? Well, the Ameo, like all other compact sedans, has that inherent floatiness to its high speed ride. One has to make constant steering corrections to keep the thing true to its line.